Susan Warner, Exec Director of Washington State’s Tacoma Museum of Glass dropped in on the Washington Glass School. 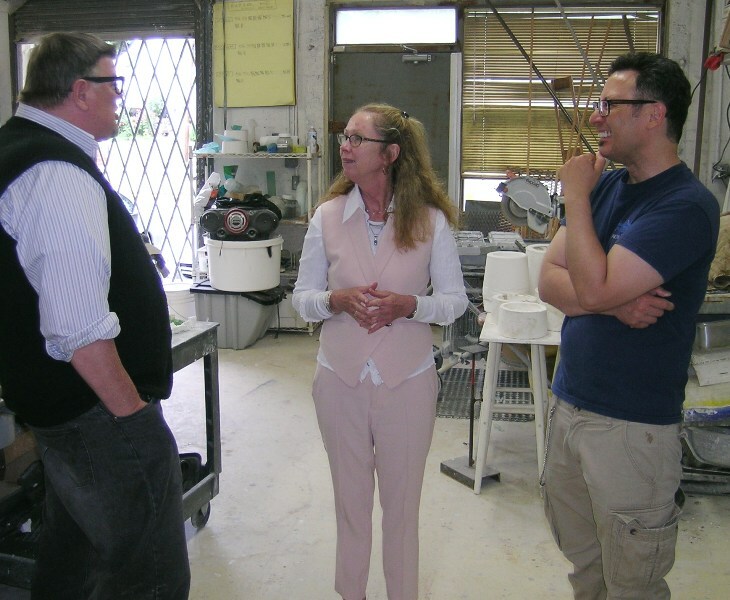 Susan met with WGS artists and talked about possible collaborative projects between the two Washington glass centers. Lets hope it works out and a Washington² or East Coast / West Coast Glass Smackdown show can happen!